Adam Ant returns to North America next week and kicks off his Anthems - The Singles tour. In celebration of the tour, he's holding a Q & A on Facebook Live tomorrow (Wednesday, August 30th) and will be answering fan questions. Submit questions now through tomorrow morning on Facebook, then head over here at 3pm ET tomorrow to watch the Q & A with Adam Ant. "Due to unforeseen technical difficulties, it has proven too difficult to get the Facebook Live Question and Answers session as advertised. Adam apologises to everybody that has taken the time to ask questions, but he is still looking through them and will try and organise something in the short time before the US ANTHEMS tour starts next week." 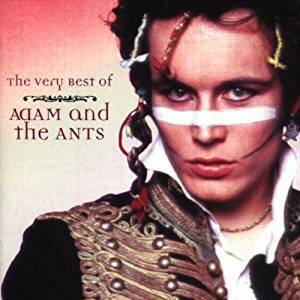 Don't miss Adam Ant on Anthems - The Singles tour. Dates are posted below.